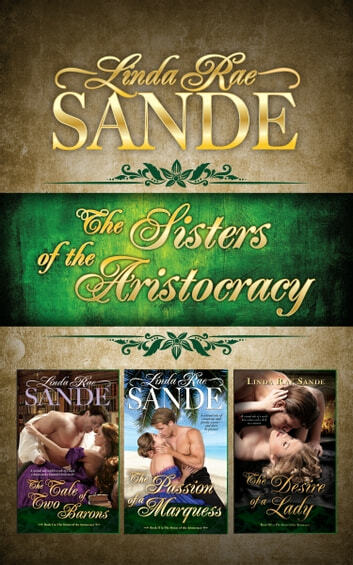 A sensual tale-within-a-tale of a baron, a book, and a bride-to-be, THE TALE OF TWO BARONS delights. Lady Evangeline is about to buy the book, The Story of a Baron, when Baron Sommers appears with the same intention. With only the one copy available, they agree to read it together -- despite the impropriety -- Evangeline's reputation as a bluestocking could use a bit of scandal. When life begins to imitate art, though, Evangeline wonders about the true identity of the author, Anonymous. What will she discover when she reads between the lines of The Story of a Baron? After four Seasons and no prospects, Lady Samantha is resigned to spinsterhood in THE PASSION OF A MARQUESS. Her aunt, Viscountess Chamberlain, insists they sail to Italy to find a marriage-minded European aristocrat. His mines having suffered a multitude of disasters, Ethan Range, Marquess of Plymouth, needs to secure an Italian invention to help alleviate fires. He’s none too happy to find Lady Chamberlain traveling on the same ship. He knows her secret and is incensed she’s able to hide Samantha’s true past from the ton. While on deck, the marquess confronts Samantha. Offended by his claims, she slaps the man before a wave washes them both overboard. Forced to save each other, they end up as castaways on a deserted island. Although they face perils a plenty, they have more to fear from one another than from hunger, weather, and pirates. Can they realize the mistakes of the past are not their own? The illegitimate sister the Earl of Trenton, former maid Lily spent two Seasons attending balls and learning about the ton. 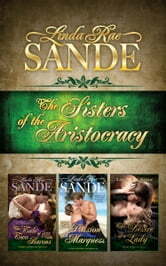 Now she finds herself courted by four aristocrats—probably for her dowry—and the subject of gossip rags. Concerned by what he's reading, the earl invites her to spend the summer so he can hear her side of the stories—tales Lily may need to embellish to get her way. William Overby has spent most of his life toiling at Wellingham Imports. Despite his poverty-stricken past, his position as a clerk has afforded him a satisfying life—until he’s reintroduced to Lily. The idea of courting Lily is suddenly paramount. But will Lily consider his suit now that she’s elevated in Society? Lily's tales may reveal more in what she doesn't tell in THE DESIRE OF A LADY.